Joe is a member of our Support team and lives in the state of New York. 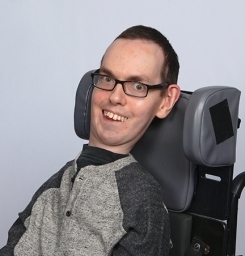 Having Spinal Muscular Atrophy, Joe uses AssistiveWare’s virtual on-screen keyboard, KeyStrokes, to access his Mac and has been involved with several AssistiveWare projects over the years. With his remarkable eye for detail and instinct for helping others, he supports the entire Team in their daily work.